Stromberg GFRC produces tactile warning strips in GFRC (glass fiber reinforced concrete) and cast polymer concrete. Why Stromberg GFRC tactile surface products? Where do you find the tactile warning strips that are best for your application? 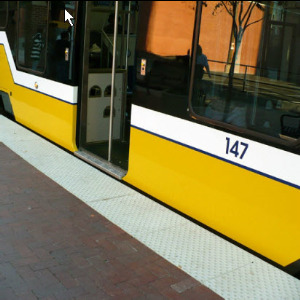 At Stromberg we offer standard and customized tactile warning strips and rail platform edging to meet your needs. All factory direct. Custom colors, textures, shapes and sizes are available. Detectable warnings provide a distinctive surface of truncated domes that are detectable by cane or underfoot. They are meant to alert people with vision impairments of hazards and changes in the walking surface.